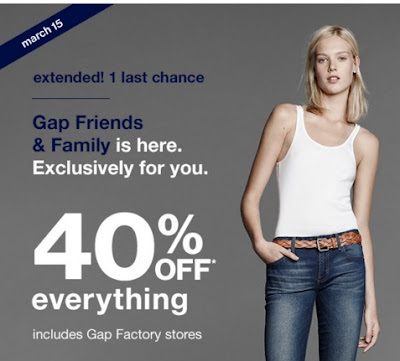 Gap extended their Friends & Family Sale one more day! Save 40% off your entire purchase in-store and online until today! Enter the promo code CASALE at checkout. Free shipping applies on orders over $50. Sale ends Tuesday, March 15 2016.